Not So Silent Cinema is pleased to present their own new, original scores to the two most celebrated of Alfred Hitchcock’s silent films, The Lodger and Blackmail. Hitchcock made 10 silent films in the early years of his prolific career. 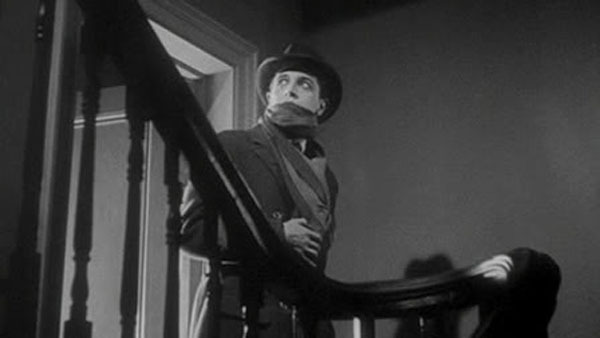 The Lodger, the story of a community plagued by a serial killer, is the first of his films to feel somewhat “Hitchcock-ian”. Hitchcock said that The Lodger “was the first time I exercised my style…you might almost say it was my first picture”. Blackmail was both Hitchcock’s last silent film and his first talkie (as many theaters were not yet equipped for sound in 1929 a silent version of the film was released at the same time as the talkie.) Whereas The Lodger displays only faint outlines of what was later to become Hitchcock’s signature style Blackmail in many ways has the look and feel of a classic Hitchcock film. Not So Silent Cinema’s new scores to these two classics coincide with the release of new restorations of the Hitchcock silents by the British Film Institute. 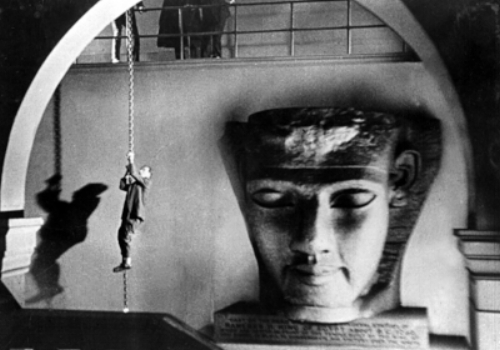 The scores, performed live by strings and piano, owe much to the influence of Bernard Herman’s classic scores to Hitchcock films such as Psycho and Vertigo. This is a rare opportunity to see early Hitchcock films with live music, as they would have been seen by audiences 90 years ago!